This summer’s relentless heat and humidity has stretched into August, a happy reason to sip some cooling “silly season” cocktails. The ideal summer drink should “invigorate, restore, refresh or stimulate”— Webster’s literal definition of “tonic” — but without a high alcohol content, which can make you feel hotter than it already is. And, naturally, it should also bring some compelling flavors to the palate. The Americano (see previous post) achieves this. Another one of my favorites is a Lillet and Tonic. Mention of “tonic water” typically conjures a “Gin and tonic”, the classic warm weather libation that harks back to the British Raj in 19th century India. Back then, “tonic” had a medicinal connotation, at least initially: the aim was to ingest quinine, the bitter extract of cinchona tree bark (native to Peru), for its antimalarial, fever-reducing, pain-killing and anti-inflammatory properties. To make it more palatable for the troops, quinine was mixed with sugar, fizzy water and Gin, which soon morphed into the not-so-unpleasant G&T (and then moved into the Officer’s Club). It wasn’t long before “tonic water”—carbonated soda water, quinine and a sweetener—became a stand-alone product, to which gin (and citrus) would be added. Today, most tonic water is mass-produced with large doses of high fructose corn syrup, along with synthetically derived quinine and other artificial ingredients. Fortunately, there are now some superior, high quality tonic waters on the market, like Q Tonic and Fever-tree, which use real quinine, all-natural flavorings and organic sweeteners, like agave syrup. And great news for weight-watchers: the new kids are significantly less caloric than the ubiquitous Schweppes, Canada Dry or store-brand versions (often 50 calories less in an eight ounce serving). Although these new-and-improved tonic waters are more expensive than the usual suspects, they are a quantum leap in quality, and truly enhance the drink. The other half of the potation, Lillet, is an aperitif wine from France’s Bordeaux region. Invented in the 1870s, it had a similar “tonic” role to the G&T, with different ingredients. Composed mostly of wine made from Bordeaux grape varieties (with both Blanc and Rouge versions), Lillet gets a dose of fortifying brandy spirit, in which various fruits, like orange and other citrus peels, as well as some secret ingredients, have been macerated. Along with…you guessed it, quinine. 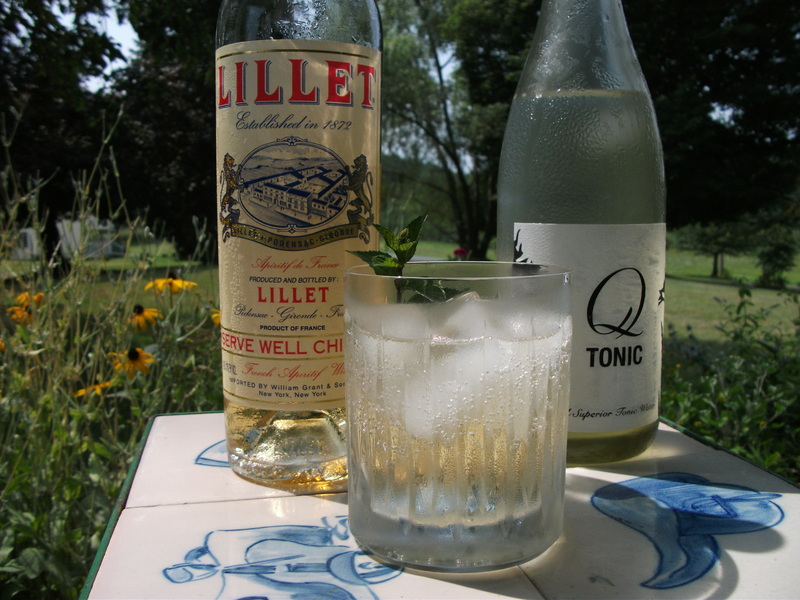 Served chilled and/or over ice, Lillet was refreshment and a quinine fix for France’s colonial troops in Africa and elsewhere. It also became very popular across France in the 1920s courtesy some clever advertising campaigns (e.g. like the poster to the right). 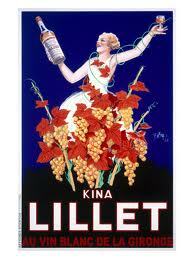 And Lillet’s biggest claim to fame? As an ingredient in the “Vesper” cocktail, which James Bond named after a comely double agent in Ian Fleming’s “Casino Royal”. Updated in 1986, Lillet Blanc’s formula is off-dry and vinous, with notes of citrus and a hint of herbs — a bracing fruit salad. By substituting Lillet for Gin, you lower the alcohol level (Gin is around 40%; Lillet 17%), and by using a superior tonic water, you get a clean, energetic fizz, with a slightly bitter complement to the attractive fruit flavors in Lillet. 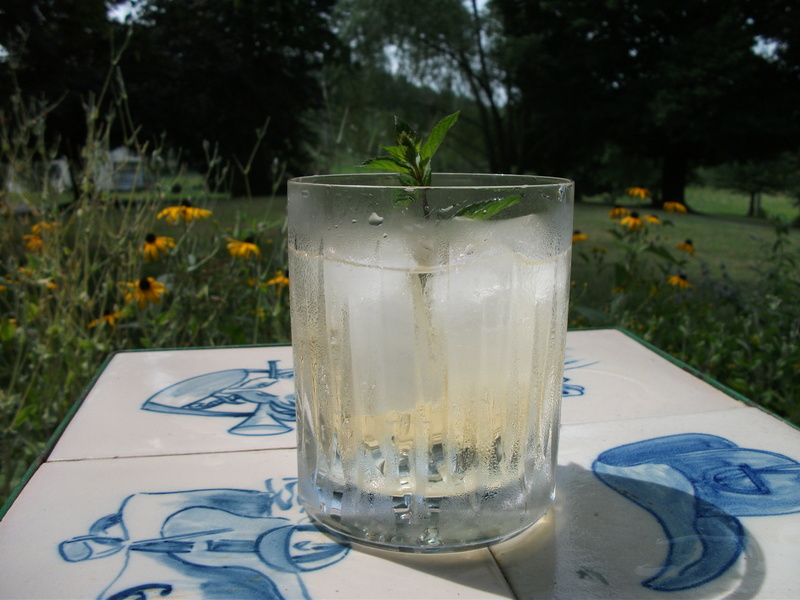 Operating instructions: fill a highball, Old-fashioned glass or largish wine glass with ice, add 3 ounces Lillet Blanc, top with 3-4 ounces of tonic water (Q Tonic, preferably) and garnish with a sprig of mint or an orange peel. With these proportions, you have a restorative highball that clocks in at only 8-9% alcohol. (Author’s note: Lillet is a fortified wine, so with a tight seal and kept in the fridge, it has a good month-or-so shelf-life, if not longer, after opening). This entry was posted in Health, Spirits + Cocktails, Wine and tagged aperitif wine, Fever-tree, Lillet, Q Tonic, quinine, tonic water. Bookmark the permalink.